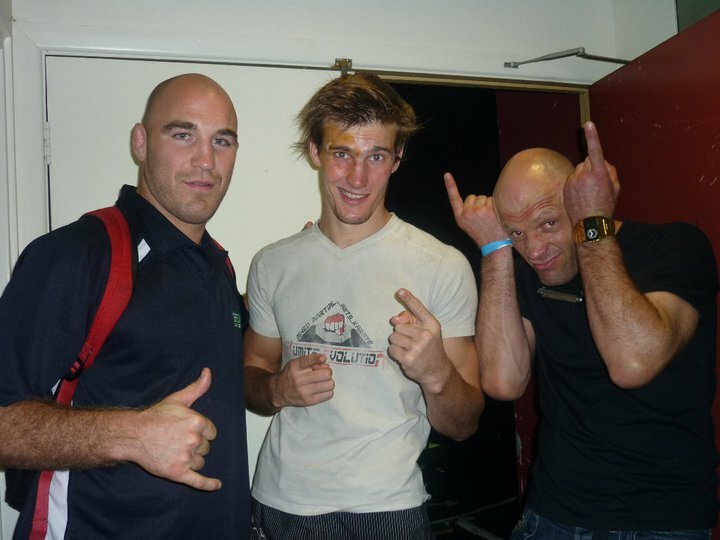 Tiger Muay Thai and MMA gives congratulations to French MMA fighter Maximilien Courtouis for his upset victory against former IKBF State MMA Champion Nick Banjo Patterson of Australia tonight on the Primal promotions event “Warriors Way 3″ in Melbourne Victoria, Australia. Accepting the bout on just 72 hours notice, Maximilien was facing a more experienced fighter. Working in Max’s corner were Tiger Muay Thai and MMA Alumni Brian Ebersole and Ross Dallow. Early in the first round Max was cut by Patterson before securing a takedown finishing the round with strikes from the mount. 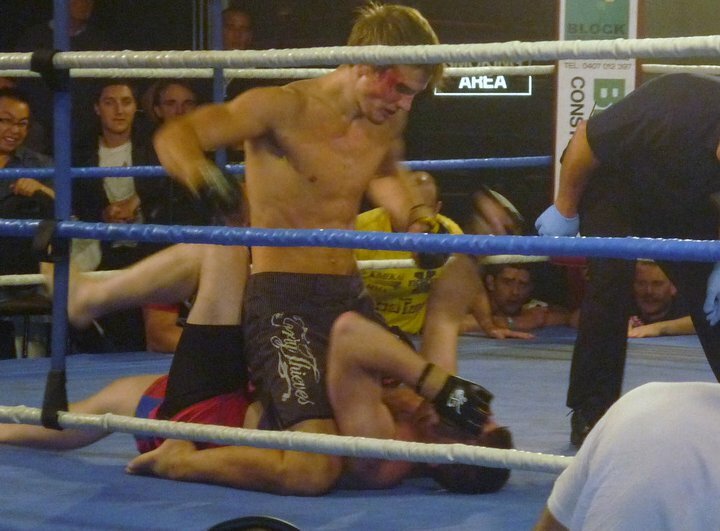 Round 2 saw Max starting to show the fatigue of not having proper notice for the MMA fight, but he stayed in the fight with great display of heart. 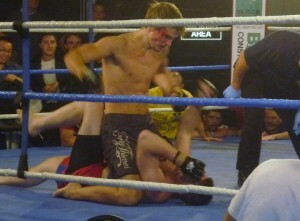 In the 3rd round “Mad Max” kicked it into overdrive securing a takedown and ref stoppage via brutal GNP.